Johnstone Justice. What America Needs Now. 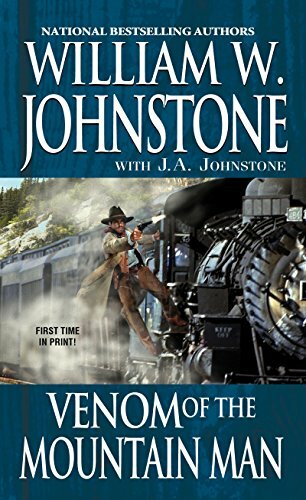 A TRAIN RIDE TO HELL When Smoke Jensen sees a gang of outlaws holding up a stagecoach, his gunfighter instincts take over and he storms in with guns blazing. He kills one of the gunmen, the rest scatter like the rats they are. Another notch on the sharpshooter’s weathered grip. But the dead man is the brother of the notorious outlaw Gabe Briggs, and Briggs will want revenge . . . Tired of the savagery of the lawless countryside, Smoke’s wife Sally heads back east for a spell, only to find the big city choking in filth, violence, and corruption. Before Sally can head back home, though, she’s snatched right off the street. When Smoke gets word that Sally’s been kidnapped, he hops the first train east. But Gabe Briggs and his ruthless bandof bad men are along for the ride. Unless Smoke can punch their ticket to hell first, they’ll blow this train sky high . . .
From bestselling authors William W. and J.A. 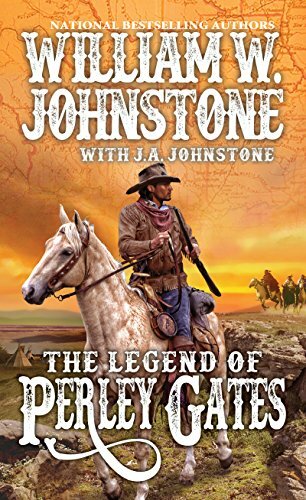 Johnstone comes the fiery saga of Perley Gates, a legend born out of the brutality and violence of the American West . . . He’s the son of a cattle rancher. A restless young dreamer who, under normal circumstances, would follow in his father’s footsteps. Normal, however, is not his style. 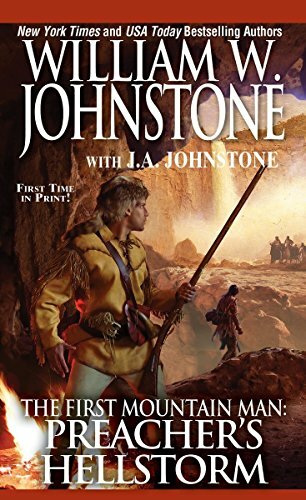 Like his famous grandfather and namesake Perley Gates—a hell-raising mountain man with a heavenly name—young Perley wants adventure, excitement, and freedom. And like his grandfather before him, he will find his dream—in the untamed wilds of a lawless frontier . That dream though might just become a nighmare . . . After his father’s death, Perley strikes out on his own. His first order of business is to track down the grandfather whose name he shares. When he crosses into Oklahoma Territory, young Perley discovers that the trail is full of dead ends—and near-death encounters. Hostile Indians, wanted outlaws, and bloodthirsty killers are just a few of the dangers waiting for him. And the closer he gets to finding the original Perley Gates, the closer he comes to meeting his Maker at the fabled gates they’re named for . . .
Johnstone Country. Frontier Spirit Lives Here.There are a lot of ways a man can end up on a wanted poster. There’s the easy way (murder), there’s the hard way (robbery), and then there’s Dooley Monahan’s way (by accident.) On the trail west with his trusty horse and dog, the hapless gunslinger stops a mean, hungry bear from making lunch out of the legendary Buffalo Bill Cody. In turn, Cody grubstakes Dooley for the purchase of a silver mine in the lawless, violent boomtown of Leadville, Colorado. Dooley can’t believe his good luck. But when he guns down three deadly outlaws, the grateful townsfolk pin a sheriff’s badge on Dooley. And that’s when his luck runs out . . .Turns out there’s a war going on between two rival gangs. Stagecoaches are being robbed every other day, and fingers are being pointed at Dooley himself. There’s a tradition here in these parts, he discovers. If a sheriff’s no good, they hang him. And if the next one’s no better, they hang him twice . . .
Young Matt Bodine and Sam Two Wolves became blood brothers on the day the rancher’s son saved the halfbreed’s life, forging a bond no one could ever break. Beneath the Montana big sky, Matt learned the ways of the Cheyenne from his friend. And as years passed, a legend grew of the breed and the white man who rode together—and who could jerk killing iron with the best of them…Blood BondTensions in the territory are running red hot, what with Lone Dog and his band of renegades scalping settlers by the dozen. Meanwhile, in the town of Cutter, greedy rancher Tom Thomas is recruiting an army of gunhawks to steal Indian land. War is brewing, and it seems Bodine and Two Wolves are going to be forced to choose sides. Because General Armstrong Custer and his men are riding fast toward the Little Big Horn River. And there’s only going to be two kinds of folk in the bloody battle that’s about to begin—the kind that kill…and the kind that die. Johnstone Justice. Made in America. A fur trapper by trade, Preacher can smell a bad deal from any direction no matter how well it’s disguised. It wasn’t always that way—he’s got the scars to prove it. Now he’s ready to pass on his deadly survival skills to a boy named Hawk, who just might be his son . . . Preacher and Hawk ride out of the Rockies and into St. Louis, loaded with furs. It’s Hawk’s first trip to civilization and the moment he lays eyes on young Chessie Dayton he’s lost in more ways than one. When Chessie unwisely signs on for a gold-hungry expedition into the lawless mountains, Hawk convinces Preacher to trail the outfit because they’re all headed straight to the sacred Indian grounds known as the Black Hills—a land of no return. To come out of it alive a lot of people will have to die. And Preacher’s going to need a heap of bullets for this journey into hell . . . 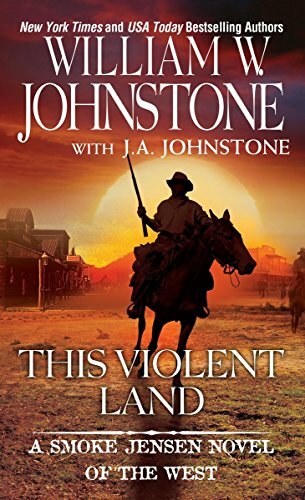 THE GREATEST WESTERN WRITERS OF THE 21ST CENTURY In this powerful new novel, William W. Johnstone and J.A. Johnstone chronicle Smoke Jensen’s early years, long before he became a legend . . . Kirby—later Smoke—Jensen has just earned his first paying job as a deputy U.S. marshal for the Colorado Territory and is sent to the lawless town of Las Animas. There, he finds a sheriff too cowardly to face the outlaw leader Cole Dawson, whose six-gun has left a lot of good men dead. Young Smoke feels no such fear. He takes Dawson down fast. Then the real fight begins. It turns out Dawson is only a cog in a crooked plot hatched by someone hiding behind the law. For a young deputy marshal, going up against the powerful and corrupt is almost certainly a fool’s mission, but doing nothing is not a choice. When Smoke strikes, he’s in all the bloody way, and what follows will become the stuff of legend. 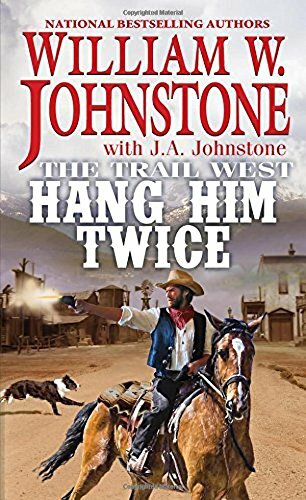 Braving bullets, blood, and treachery to face down the most dangerous outlaw in Colorado Territory, Smoke will earn a reputation for justice and the rule of law in a wild, violent frontier. Johnstone Country. Where others fear to tread. 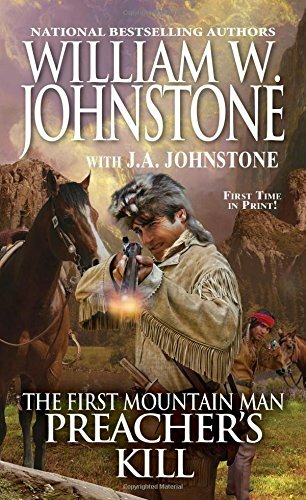 Descended from Scottish Highlanders and blood kin to Falcon and Jamie Ian, Duff MaCallister forged a bold new life on the American frontier. But he will always stay true to his clan’s fighting spirit—when it comes to justice . . . THE STALKING DEATH There’s something rotten in Wyoming, and it’s not just the smell of cow pies—the first whiff is coming off the Laramie County Cattlemen. Right off the bat, Duff notices something odd: no small-time ranchers allowed. It’s big-leaguers only. And none are bigger than Brad Houser, owner of the sprawling Twin Peaks ranch. He’s up in arms over the small-timers claiming the unbranded mavericks who escape their herds. Which is perfectly legal. No brand, free cow. Houser has a plan to stop these former cowboys from taking their runaways. For $1000, Houser will make the small ranchers go away—six feet under. That makes Duff MacCallister madder than a wet hen . . . and his guns will do the screaming. Johnstone Country. Frontier Spirit Lives Here. The masters of American frontier storytelling return with the saga of a bold, fearless western legend. When you’re a gun for hire, the difference between right and wrong is settled with a bullet . . . BUCKHORN Crater City, New Mexico, is a bustling mining town brimming with the stench of men hungry to get rich the old fashioned way—killing the competition. 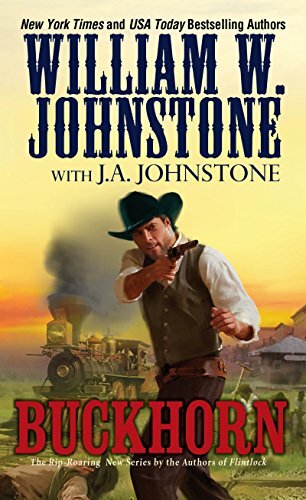 Dennis Conroy is the owner of the biggest saloon in town, and he needs a few good sharpshooters to help protect surveyors laying out a route for a spur railine before his rival Hugh Thornton beats him to it. Joe Buckhorn’s handy with a gun so he takes the job. Against his best advice, he’ll also take a liking to the boss’s daughter, which doesn’t go over well with her father. Worse, Buckhorn starts wondering exactly what kind of man he’s working for. Before the sun goes down much blood will be spilled and a lot of men will be blasted into the middle of next week. Joe Buckhorns aims to be sure he’s not one of them. Johnstone Justice. What America Needs Now. 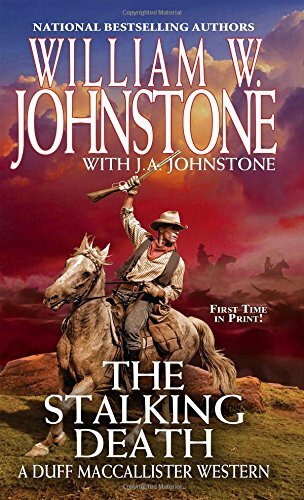 The first story in a fiery new series about the west’s most dangerous boomtown, and the reformed outlaw who risks his life to keep it safe . . . RATTLESNAKE WELLS, WYOMING In the dark shadow of the Prophecy Mountains lies the ramshackle town of Rattlesnake Wells, where dreamers come to make their fortunes, and desperados come to die. The streets of this little settlement are slick with mud and stained with blood, and it will fall to Bob Hatfield to sweep them clean. The town marshal, Hatfield has a young man’s face, but his eyes are those of a killer. He is a good man, but he has a secret that weighs on his soul. In Texas, Hatfield was known as the Devil’s River Kid, one of the most feared outlaws to ever ride the Lone Star State. He fled Texas after a showdown with a corrupt rancher turned bloody, and he vowed to start a new life on the right side of the law. 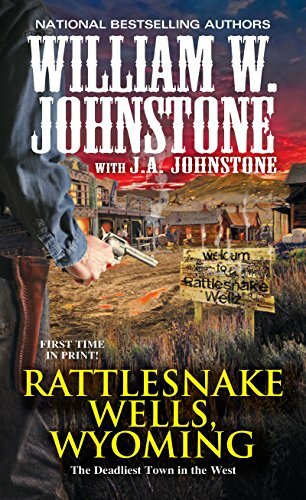 But when some ghosts from Hatfield’s past catch up to him, this gunslinging marshal will risk his life to protect the savage town known as Rattlesnake Wells. 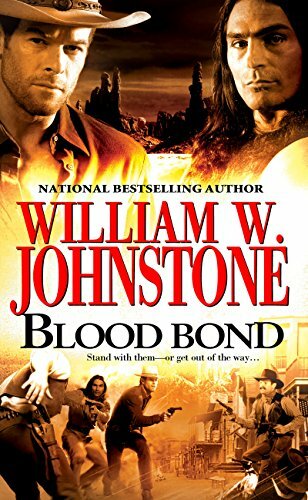 Compare prices on William Johnstone at ShoppinGent.com – use promo codes and coupons for best offers and deals. Start smart buying with ShoppinGent.com right now and choose your golden price on every purchase.